Tickets for initial series offerings are on sale now; additional series go on sale Monday, June 22. Single ticket sales begin Monday, July 6. For ticket and subscription information, visit valleyperformingartscenter.org or call (818) 677-3000. 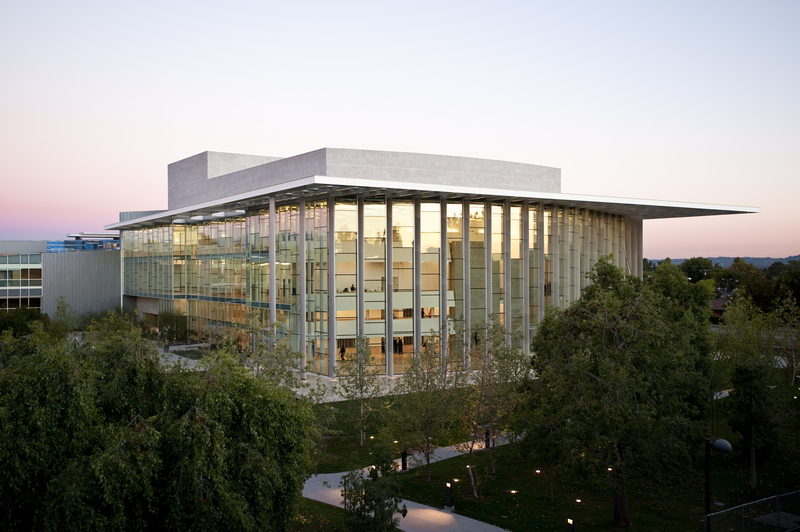 Valley Performing Arts Center is located on the campus of California State University, Northridge (CSUN), 18111 Nordhoff Street Northridge, CA 91330-8448, at the corner of Nordhoff and Lindley. VPAC’s new Executive Director, Thor Steingraber, arrived a short 14 months ago and is unveiling his first season for VPAC, now in its fifth season of serving the Los Angeles region with 48 attractions, a full menu that includes classical and popular music, dance, theater, family and international events only seen at VPAC. Previous to VPAC, Steingraber was Vice President of Programming for The Music Center, where he oversaw the opening of Downtown Los Angeles’ Grand Park and venue; Senior Vice President at the Kimmel Center in Philadelphia; and previously directed opera at the Music Center, Lincoln Center, San Francisco Opera, Houston Grand Opera, Lyric Opera of Chicago, and Santa Fe Opera. “The new season at VPAC will build upon its early successes while broadening the offerings to include original performances made just for VPAC. I bring to the venue a lifetime of producing new work,” says Steingraber. Opening the season is Los Angeles’ own Diavolo/Architecture in Motion, our dance ambassadors to the world (September 19 – 20). In his explosive trilogy, L’Espace du Temps, founder and artistic director Jacques Heim boldly choreographs his company to orchestral works by three contemporary composers, Esa-Pekka Salonen, John Adams, and Philip Glass. First presented at the Hollywood Bowl between 2007 and 2013, these three separate pieces come together in one full-length American premiere featuring the New West Symphony and L.A.’s own firebrand conductor Christopher Rountree, artistic director of Los Angeles’ music ensemble wild Up. Diavolo’s L’Espace du Temps, and a second attraction, two-time Grammy winner New York style salsa and Latin jazz band Spanish Harlem Orchestra performing Salsa Navidad (December 5) led by Oscar Hernández, are part of the Ford Signature Series, a program of the Los Angeles County Arts Commission. The Ford Signature Series is made possible through the generous support of Los Angeles County Supervisor Sheila Kuehl. Original program created with support from former Los Angeles County Supervisor Zev Yaroslavsky. Now in its third year, the Signature Series pairs L.A. County artists with world-renowned performers in a one-of-a-kind presentation. Proceeds benefit the Ford Theatre Foundation, which supports programs at the Ford Theatres in Hollywood and throughout Los Angeles County. Seasoned entertainers take the VPAC stage beginning September 24 with Broadway and television star Megan Hilty in Concert (Smash, Wicked) and Broadway Miss Saigon and Flower Drum Song star Lea Salonga (April 1). Aspen Santa Fe Ballet, celebrating its twentieth anniversary, is beginning a three-year VPAC residency (April 16). Based in both of those cities, the company is headed by executive director Jean-Philippe Malaty and artistic director Tom Mossbrucker, a Joffrey principal dancer for twenty years; both are honorees of the Joyce Theater Award in 2010. The program will include premieres from three Latin choreographers entitled Cerrudo, Melo and Soto: Three New Works. Stepping out from the background as a session and backup singer who has worked with artists from Mick Jagger to Laurie Anderson, the spotlight will be on Grammy-winner Ms Lisa Fischer & Grand Baton (October 2). Fischer was one of the main artists featured in the 2013 Oscar-winning documentary 20 Feet From Stardom, about minority women backup singers. A period of three decades span virtuosos Savion Glover and Jack DeJohnette who come together for a multi-generational night of rhythm (March 18). Another group of multi-generational artists bring their music craft to VPAC – 88.5 KCSN presents Patty Griffin, Sara Watkins and Anaïs Mitchell, celebrating years of American songwriting (April 2). Singer Isabel Bayrakdarian (October 22) on the occasion of the centenary of the Armenian genocide, embraces her heritage in My Songs, My Heritage and performs as part of the 13th Annual Daniel Pearl Music Day, with Camerata Pacifica and pianist Serouj Kradjian, while pianist Yuja Wang who the San Francisco Chronicle says is “quite simply, the most dazzlingly, uncannily gifted pianist in the concert world today,” takes on Tchaikovsky during the Russian National Orchestra’s, music director Mikhail Pletnev (February 19). California State University Northridge Alumna and award-winning opera singer mezzo-soprano Michelle DeYoung’s program includes Strauss, de Falla, Weill, Schoenberg and Marx on November 12, accompanied by Kevin Murphy, piano. DeYoung won the Metropolitan Opera National Council Auditions in 1992 and has been a regular performer at the Met ever since. In 2009 she completed her Bachelor’s Degree (that she had to put on hold after going to The Met’s Young Artist Program) in Music from CSUN. In May 2010 the University honored her with a Doctorate in Fine Arts for her contributions to the music industry. VPAC presents its first Broadway musical – Dreamgirls – a McCoy Rigby Entertainment and La Mirada Theatre Production (May 6 – 8). “VPAC was built with the large-scale Broadway musical in mind, and valley audiences tell me constantly that it’s an unmet promise. Well, no longer,” says Steingraber. Beyond Ms. Bayrakdarian, there are four more international attractions in the season – the exciting flamenco company Compañia Flamenca José Porcel performing Flamenco Fire with special guest Leilah Broukhim, a Sephardic Iranian flamenco dancer born in New York but impeccably trained in Madrid (November 20). Lead by its artistic director José Porcel, The Las Vegas Review-Journal said, “The dances are evocative and exciting, blending traditional flamenco with some decidedly more contemporary music, moves and looks. The dancers are lithe and accomplished.” The seminal South African male ensemble Ladysmith Black Mambazo, introduced to the world by Paul Simon on his Graceland album performs January 21; and a special program Fiesta Mexico-Americana, a Celebration of Mexican-American Heritage (January 31), featuring legendary Grammy Award-winning Los Lobos with special guest Ballet Folklorico Mexicano. A range of classical music continues to take hold at VPAC with an intimate 250-seat staging of Harlem Quartet (November 5) that the New York Times says is “bringing a new attitude to classical music, one that is fresh, bracing and intelligent.” In turn, the legendary The Handel and Haydn Society has a Bicentennial Celebration, with its original, period instruments for a 200-year anniversary performance including works by Vivaldi, Bach and Handel’s Messiah, lead by Harry Christophers, Artistic Director and Conductor, and featuring Aisslinn Nosky, violinist (October 15). Returning to VPAC is one of today’s most celebrated orchestras – Academy of St Martin in the Fields with Joshua Bell, Director and Soloist (March 9). From Los Angeles’ own Colburn School Conservatory of Music, two events that are free to the public with the Colburn Orchestra will be presented under music director and conductor Yehuda Gilad (September 27 & April 3). The September 27 program features pianist Fabio Bidini, who will join the Colburn faculty in 2015-16 as the first person to hold the newly endowed Carol Grigor Piano Chair, making his debut with the orchestra as the soloist of Beethoven’s Piano Concerto #5 “Emperor”; program also includes Smetana: Overture to The Bartered Bride and Brahms Symphony #2. The second program free to the public is a complete performance of the triumphant Beethoven’s Ninth Symphony (April 3) with the CSUN Northridge Singers, Paul Smith, Director. VPAC’s final performance of the 2015-16 season features critically acclaimed pianist 14th Van Cliburn International Piano Competition Gold Medalist Vadym Kholodenko performing as the capstone to the three-day American Liszt Society Festival (June 4). VPAC takes a humorous turn when David Sedaris actually agreed to return to Northridge (November 21)! In the meanwhile, VPAC welcomes the Los Angeles’ debut of Binge-Worthy Journalism Backstage with the Creators of SERIAL, Sarah Koenig & Julie Snyder (March 5). VPAC is proud to present 10-time Grammy-winner, beatbox and jazz artist, Bobby with son and special guest Taylor McFerrin, an accomplished DJ, music producer and keyboardist (January 29). Los Angeles Chamber Orchestra director Jeffrey Kahane takes his depth and knowledge of classical music to the stage alongside his son Gabriel Kahane’s aural sensibility of creating musical landscapes with his singer/songwriter craftsmanship (February 17). In five other concerts, acclaimed contemporary jazz pianists perform and interpret the work of four of the legacy masters of jazz and pop. At Jason Moran: Fats Waller Dance Party (February 9), Moran, an ambitiously creative jazz pianist and winner of the MacArthur Genius Fellowship, transforms the music of one of cornerstones of the art form to something new and quite contemporary. The New York Times said, “Exceptional. The room felt easy and real and radiant. The Fats Waller songs served only as suggestions … as Mr. Moran broke out in stride-piano patterns or repeated a fragment of an old melody. It was all joyous and foolish and graceful.” Rolling Stone said Moran is “the most provocative thinker in current jazz.” Turtle Island Quartet with Cyrus Chestnut, jazz piano performing Jelly, Rags, and Monk honoring the history of the cornerstones of jazz piano (April 6). Turtle Island Quartet has been a singular force in the creation of bold, new trends in chamber music for strings. Although classically trained, these musicians are able to throw out the academia and just get down with a combination of intelligence and irreverence that has garnered a Grammy Award for Best Classical Crossover album and drawn praises as a chamber group who continue to break new ground. Three of the exclusive VPAC performances also expand on the theme of great contemporary jazz artists celebrating and honoring legacy artists – Peter Nero’s Gershwin in Hollywood, an original concert created for VPAC (November 14) and the two concerts by John Pizzarelli celebrating the Sinatra centennial with Monica Mancini and Broadway star Cheyenne Jackson (December 12) and a national radio broadcast celebrating Sinatra and Billie Holiday (April 9). There are some attractions that defy categorization, but are available and irresistible to present for our audience, crossing all categories. For 2015-2016 these include Mariachi Vargas de Tecalitlán (December 3), one of the longest ongoing Mexican folk ensembles of mariachi music. entertains audiences with their modern take on norteño music since the late ‘60s, when they were founded by Jorge Hernández. Known for their corridos, a regional style of narrative ballad that they infused with cumbia, bolero, and rock rhythms, Los Tigres found international fame in 1974 with Contrabando y Traición, a tale of two drug runners that led to a series of films based on the song. L.A. Theatre Works, Susan Albert Loewenberg, Producing Director, comes to VPAC for the first time to present Bram Stoker’s DRACULA adapted by Charles Morey (October 28). Finally, VPAC begins a brand new Family series, always performing on Sundays, mostly at 3 pm. The series begins with direct from Beijing – The National Acrobats and Circus of the People’s Republic of China performing Peking Dreams (October 4); followed by the American bluegrass and roots family music duo from Minneapolis The Okee Dokee Brothers (November 15); the New York and international percussion sensation STOMP (January 24); The Band of the Royal Marines with Pipes, Drums, and Highland Dancers of the Scots Guards (February 28); and concludes with Prokofiev’s Peter and the Wolf narrated by Nancy Cartwright (the voice of Bart on The Simpsons) performed by Orange County’s Pacific Symphony, conducted by CSUN Alumnus Richard Kaufman (May 1).